Pilot was a "rising star", hard-working-brother "His dream was to be a pilot"
Paris - The hunt for the cause of an Ethiopian Airlines plane crash that killed all 157 people on board gathered pace on Saturday when investigators successfully downloaded the cockpit voice recorder and fresh details emerged of the final seconds of the flight. While experts say it is too soon to know what brought down the Boeing 737 MAX 8 on March 10, aviation authorities worldwide have grounded Boeing's 737 MAXs, as concerns over the plane caused the company's share price to tumble. In Addis Ababa, a source who has listened to the air traffic control recording of the plane's communications said flight 302 had an unusually high speed after take-off before the plane reported problems and asked permission to climb quickly. A voice from the cockpit of the Boeing BA.N 737 MAX requested to climb to 14,000 feet above sea level - about 6,400 feet above the airport - before urgently asking to return, the source told Reuters on condition of anonymity because the recording is part of an ongoing investigation. "He said he had a flight control problem. That is why he wanted to climb," the source said, adding there were no further details given of the exact problem and the voice sounded nervous. 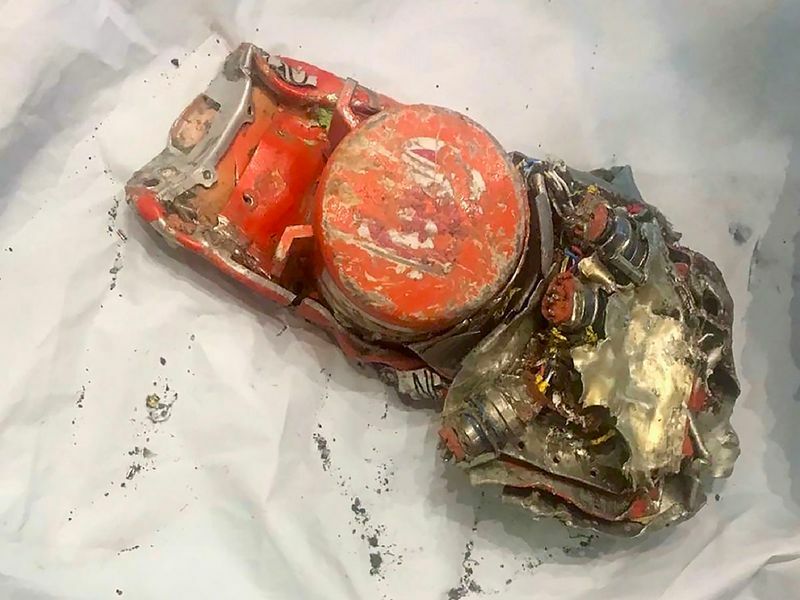 In Paris, France's BEA air accident investigation agency said data from the jet's cockpit voice recorder has been successfully downloaded. The French agency said in a tweet it had not listened to the audio files and that the data had been transferred to Ethiopian investigators. The BEA also issued a photo showing the recorder intact but dented by the impact of the plane's crash into a field minutes after take-off from Addis Ababa. "We are waiting for the results. We are making all the necessary efforts to identify the cause of the accident," Ethiopian Minister of Transport Dagmawit Moges told reporters in Addis Ababa. "This kind of investigation needs considerable amount of time to reach concrete conclusions". 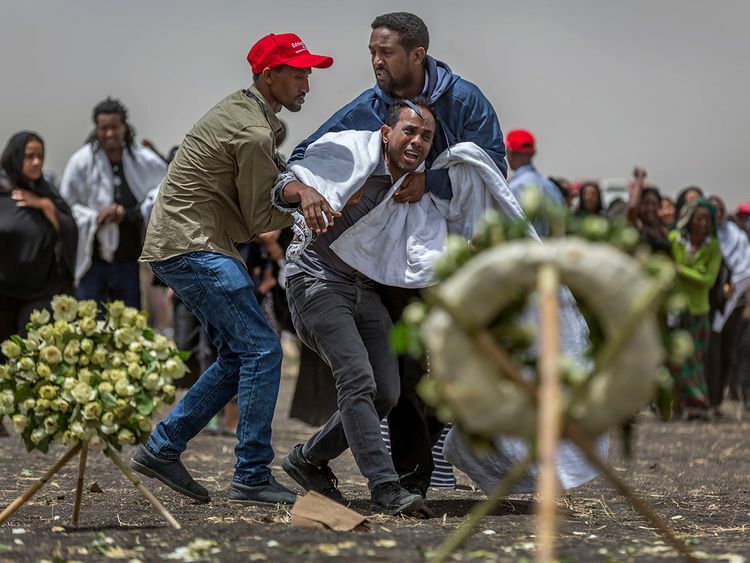 The Ethiopian carrier said DNA testing of the remains of the people on board flight 302 may take up to six months, and it offered bereaved families charred earth from the plane crash site to bury. Passengers from more than 30 nations were aboard. Dagmawit said temporary death certificate had been given, and a final one would be issued in two weeks time. Collection of DNA samples from relatives had begun. Victim identification would be done to scientific international standards, and internationally-recognised organisations such as Interpol were going to be involved in the process, she said. 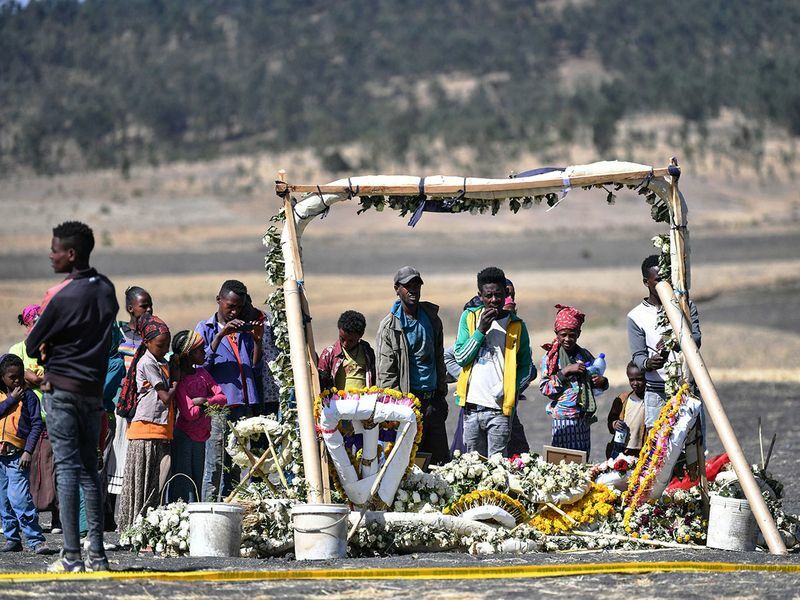 As families await results from the investigation, the airline is planning to hold a service on Sunday in Addis Ababa, at the Kidist Selassie, or Holy Trinity Cathedral, where many of Ethiopia's past rulers are buried under its pink stone spires. "We were told by the company that we will be given a kilo (of earth) each for burial at Selassie Church for a funeral they will organise," said one family member who asked not to be named. Around 100 relatives, including the brother and father of pilot Yared Getachew, gathered at a memorial for the victims at the Kenyan embassy. "His dream was to be a pilot," said Meno Getachew Tessema, 39, Yared's brother. "He was diligent, hardworking, he had a consistent work ethic. I would like to emphasize his record and that he was a rising star at Ethiopian Airlines."